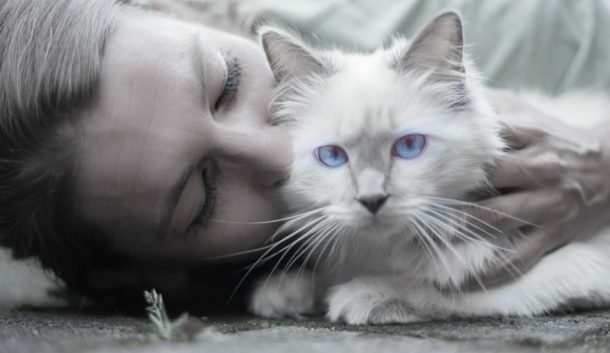 Looking for some beautiful gypsy cat names to honor your heritage? Check out these 12 fabulous names for male and female cats! While you could always just name your cat Gypsy (I did, after all), you might want something a little more unique. We’ll even tell you a bit about who your cats will be sharing their moniker with! If you have read some of my previous articles, then you’ll know I love using definitions! So, I thought that the word “gypsy” was another perfect opportunity for a definition. It is estimated that there are, currently, 12 million gypsies living around the world, with most of them (8-10 million) living in Europe. The United States has approximately 1 million gypsies, with the most significant populations residing throughout the Northeast, Pacific Northwest, Southern California and Texas. There are 2 types of gypsies- Romanian Gypsies and Irish Travellers. Now that you know all about Gypsies, let’s check out some great gypsy-inspired cat names! Ethelinda is from German origin meaning- noble serpent and from Teutonic origin meaning- intelligent. Ethelinda Vanderbilt was the daughter of Cornelius Vanderbilt, a business magnate who earned his wealth in railroads and shipping. According to CNN Money, Cornelius is the 2nd wealthiest person in U.S. history, with a net worth of $105 million at the time of his death in 1877. Nan is from Hebrew origin meaning- grace. Nan Joyce was an Irish Travellers’ rights activist who worked hard to improve the lives of Travellers, from 1981 until her death on August 7th, 2018. She published a book- Traveller: An Autobiography, in 1985. Nan Kempner is a New York City socialite who is famous for her charity work. Over the course of 3 decades, she helped to raise more than $75 million for the Memorial Sloan Kettering Cancer Center. Oksana is from Russian origin meaning- Praise to God. Oksana Marafioti is an author who became a gypsy at the age of 15, moving to the U.S. from Russia. In 2012, she published her memoir- American Gypsy, which details her life growing up as a gypsy. Oksana is a classically trained pianist and a graduate of the Professional Film Crew Training Program at the University of Nevada- Las Vegas. Rumer is from English Gypsy origin meaning- a gypsy. Rumer Godden was a children’s book author and novelist, of over 60 books, both fiction and nonfiction. In 1972, she was the recipient of the Whitbread Book Award, in the children’s book category, for her novel- The Diddakoi. Rumer Willis is the oldest daughter of actor Bruce Willis and actress Demi Moore. Shelta is from Irish origin meaning- a voice that moves. Shelta is a language that is spoken by Irish Travellers, mainly spoken in Ireland and Britain. Shelta first appeared in print in the 1882 book- The Gypsies by Charles Leland. Theodosia is from Greek origin meaning- Giving to God. Theodosia Bartow Prevost was the wife of Aaron Burr, the 3rd Vice President of the United States, who served alongside Thomas Jefferson, from 1801-1805. The couple only had one child that survived to adulthood, a daughter- Theodosia Burr Alston, named after her mother. Bartley is from English and Scottish origins meaning- the birch tree meadow. Bartley Gorman was an Irish Traveller. He was the undefeated Bare Knuckle Boxing Champion from 1972-1992 and he was indicted into the Bare Knuckle Boxing Hall of Fame in 2017. In 2003, Bartley published his autobiography- King of the Gypsies: Memoirs of the Undefeated Bareknuckle Champion of Great Britain and Ireland. Nehemiah is from Hebrew origin meaning- comfort of the Lord, comforted by God. Nehemiah is the central figure in the Book of Nehemiah, who was tasked with rebuilding the City of Jerusalem during the Second Temple Period. Nehemiah Clark is a cast member from The Real World: Austin, the 16th season of the reality television series- The Real World. Paddy is from Irish and Latin origin meaning- noble. Paddy Doherty is an Irish Traveller and former Bare Knuckle Boxer. He appeared in the 2010 documentary- My Big Fat Gypsy Wedding. He is also the winner of Celebrity Big Brother 8. Patrin is from English Gypsy origin meaning- leaf trail. I couldn’t find anyone who shared this name, so it would truly be unique! Silvanus is from Latin origin meaning- of the forest. Silvanus was a disciple that accompanied Paul the Apostle on his first 2 missionary journeys. Zindelo is from English Gypsy origin meaning- man’s defender. This is another unique Gypsy name for cats that doesn’t really have a famous person to go along with it! 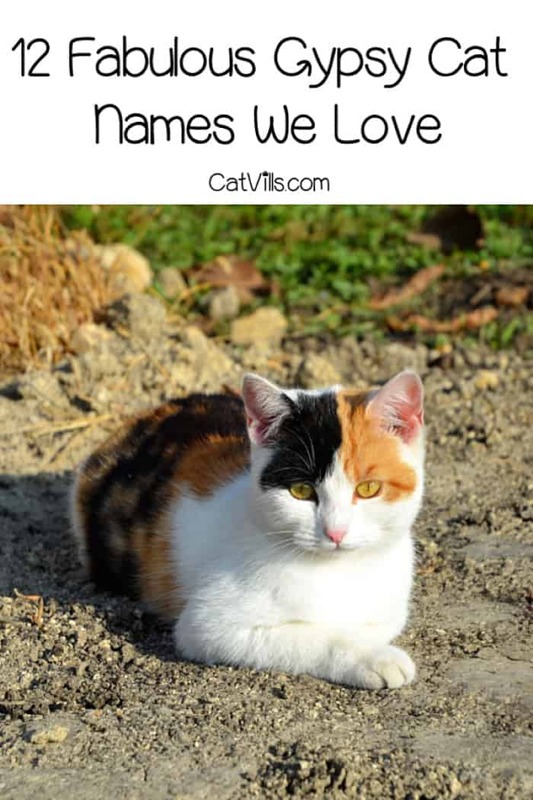 These are our top picks for the 12 most beautiful and creative Gypsy cat names! If you’re looking for other unique ideas, check out our Cat Names Section! I’d love to hear from you! What are your favorite Gypsy cat names? Share below! Such cute names. I won’t have to crack my head to think of a new cat’s name now. I just will use one from your list. Wow these names are all so unique and interesting! Thank you for sharing this information! The cats here are super cute. I like the names a lot too! This post would come in so handy for those stuck on names to give their cats. Ethelinda is definitely a beautiful name. I guess I should have named my cat this one since she is the most intelligent cat I have ever met. Bookmarked your post for future reference.